Within the scope of an intermediary service, Delta ehf shall provide the visitors and Suppliers of tours or tourist services with this booking website; www.classiciceland.com. Once a customer books a tour on this site, a binding contract is settled directly between the users of this booking website and the Suppliers of tour and related tourist services. This website and all its content is provided by Delta ehf, Laekjargata 3, 600 Akureyri, Iceland. You can contact us by email (info@classiciceland.com). Bookings through this website are subject to the General Terms and Conditions of Delta ehf as well as the General Terms and Conditions of the Supplier of tours and other tourist. The information on this Website is for general informational purposes only. Information on this Website does not constitute an offer binding to us. 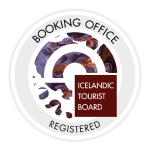 Binding agreements with suppliers of activities available on the Website require a booking request through the www.classiciceland.com and the supplier’s acceptance of the booking request according to the General Terms and Conditions of Delta ehf. While Delta ehf tries to ensure that the information in or through the Website is accurate, it does not provide any warranties, express or implied, in relation to its correctness, completeness, current, reliability, suitability for any purpose or otherwise (including for any information provided by third parties). Delta ehf may change, add or remove information on the Website and its structure and functions at any time at its sole discretion, without specifically informing of any such change, and without removing outdated information or characterizing it as such. Delta ehf may also block Users from accessing the Website or parts of it, or requires certain conditions to be fulfilled for such access. Delta ehf does not provide any warranties, express or implied, in relation to the availability of the Website or its functions, that the Website is free from defects, or that the Website and the infrastructure on which it runs is free from viruses and other harmful software. Moreover, Delta ehf does not guarantee that information available on the Website has not been altered through technical defects or by unauthorized third parties. In no event shall Delta ehf, nor any of its officers, directors and employees, shall be held liable for anything arising out of or in any way connected with your use of this Website whether such liability is under contract. Delta ehf, including its officers, directors and employees shall not be held liable for any indirect, consequential or special liability arising out of or in any way related to your use of this Website. Delta ehf does not assume any responsibility for third party content (including any activities available for booking requests, and information relating to such activities) that may be available through the Website, and for content linked to the Website or which are linked to from it or referred to. Delta ehf does not recommend or endorse such content, and will not have any liability relating to it. Where Delta ehf links to third party websites, you use such websites at your own risk. We recommend reading the policies of these websites and review how these websites may process personally identifiable data relating to you. Other than the content you own, under these Terms, Delta ehf and/or its licensors own all the intellectual property rights and materials contained in this Website. Governing law / Jurisdiction These Terms and Conditions are in accordance with Icelandic law. The laws of Iceland will be applied in interpretation of this agreement. The District Court of Reykjavík, Iceland, will have exclusive jurisdiction to adjudicate any dispute arising under or in connection with this agreement. Delta ehf, Laekjargata 3, 600 Akureyri runs an intermediary website for tourist offers in the form of an online offer via a website (hereinafter jointly referred to as the “www.classiciceland.com”). On the website users have the chance to find and book tours, activities and experiences all over Iceland. The online offer comprises guided tours, cooking courses, sightseeing tours by bus, river barge trips, tickets for entry to sightseeing locations and other services. The offers are placed online by a range of local Suppliers (hereinafter referred to as “Suppliers”) with whom the respective contract for tourist services is concluded (“service agreement”). The Suppliers’ services can be accessed via the webiste and bookings can be made. A “consumer” is any individual person who has concluded a contract for purposes which cannot be predominantly assigned to commercial or independent work activities. A “company” is a natural person or legal entity, or a partnership, which is performing its commercial or independent activities by concluding this contract. The “user” denotes a natural person, unless this person has been explicitly registered on www.classiciceland.com as a legal entity. The actions and omissions that take place during the registration of a legal entity are allocated to a natural individual, unless they are carried out within the framework of their power of attorney for the legal entity. The “user” subsequently also includes users referred by sub-agent or distribution partners. Delta ehf, through the use of www.classiciceland.com, will show the user available tours and information about the Supplier’s services. Based on this information, the user can, where applicable after checking availability, make a contractual offer, by placing an offer, to be sent to the respective Supplier. This happens, after the selection and transfer to the shopping basket, by clicking on the button “confirm and book”. The user is bound to his/her binding offer. Delta ehf shall notify the user of the conditions of transport and business of the Supplier for their contractual relationship with the user and for their services. They can be found in the respective tenders. The user is responsible for meeting and complying with these conditions. The Supplier reserves the right to not allow the user to undertake an action, or to exclude it, if they do not meet the conditions. In this case the paid price shall not be refunded. Delta ehf shall provide the user with a booking confirmation issued in the name of, and on behalf of, the Supplier, as well as a payment confirmation. The use of www.classiciceland.com itself is essentially free of charge for the user. The costs for the technical access to the Delta ehf (e.g. internet access) are to be borne by the user. Delta ehf is permitted to collect the invoiced amounts in the name of, and behalf of the Supplier. Delta ehf shall forward the user any data for the use of a Supplier’s service according to the applicable conditions (such as ticket data), once they have been received by the Supplier. Delta ehf assumes no guarantee for the accuracy of forwarded data, or for the performance of services by the Supplier, as all the information indicated and forwarded is based on data from Suppliers or third parties, which Delta ehf cannot check in detail. The service agreement concluded with the Supplier shall apply to the fees to be paid by the user for the services of the Supplier. Delta ehf is permitted to collect the invoiced amounts in the name of and on behalf of the Supplier, provided nothing else has been explicitly stated in the Supplier’s invoice. If claims have to be paid by the user in a different currency than its national currency (claims for payment in foreign currencies), Delta ehf can demand payment in the national currency of the user and the foreign currency claim can be converted based on the current exchange rate at the time the contract is concluded. Delta ehf can charge the user a suitable conversion charge for this. The contact partner, and contract partner, of the user in connection with the service agreement and its payment, is the respective Supplier. The user can only assert the repayment of a payment to the respective Supplier. A refund granted by the Supplier can also be processed by the Supplier via www.classiciceland.com. To simplify the process for the user, communication via www.classiciceland.com is recommended. Upon the authorization of the payment, the user consents to his/her payment information being used for the collection of payments by the creditor. Delta ehf reserves the right to make the use of the payment function of Delta ehf dependent on a check of the credit rating of the user. All prices on www.classiciceland.com are quoted per person and include VAT and all other taxes. These prices specified by the Suppliers may be subjected to special conditions, for example with regards to cancellation and the refunding of payments made. Before making the booking, please check precisely whether the respective service agreement is subject to separate conditions. We guarantee that every booked transaction through this website will have the lowest price publicly available on the Internet. If you find a lower price (including all taxes and fees) publicly available on the Internet within 24 hours of booking, we will match that price. The user shall be accountable for all actions made by him/her on this website. After receiving the service information, the user can send any orders to www.classiciceland.com for forwarding to the Supplier. The user shall exempt Delta ehf from third-party claims based on his/her use of this website, unless they are the fault of Delta ehf. Delta ehf makes no guarantee or warranty for the accuracy or completeness of data provided by third parties (such as Suppliers). Delta ehf makes no guarantee or warranty for the services provided by the Suppliers. The contact partner of the user in the event of questions and claims in connection with a service agreement and its execution is the respective Supplier. Provided Delta ehf does not have any obligation to the user, Delta ehf also provides no guarantee. The third-party suppliers and private tour guides providing products or other services on this website are independent contractors and not agents or employees of Delta ehf. Delta ehf is not liable for the acts, errors, omissions, representations, warranties, breaches, negligence or misconduct of any such suppliers or private tour guides or for any personal injuries, death, property damage, or other damages or expenses resulting therefrom or otherwise arising from your booking of a product or service or your use of a product or service. Delta ehf has no liability and will make no refund in the event of any delay, cancellation, overbooking, strike, force majeure or other causes beyond their direct control, and they have no responsibility for any additional expense, omissions, delays, re-routing or acts of any government or authority. Delta ehf reserves the right to change these General Terms and Conditions at any time and without stating the reasons. Delta ehf will only make changes affecting the user, which the user must agree to in consideration of mutual interests. This concerns, for example, cases where the equivalence principle has been disturbed, as well as loopholes and changes in legislation. The amended conditions will be sent to the users by e-mail at the latest two weeks before they come into effect. If a user does not reject the validity of the new General Terms and Conditions within two weeks of the receipt of the e-mail, the amended General Terms and Conditions are deemed to have been accepted. Delta ehf will notify the user, in the e-mail containing the amended conditions, of the importance of this two-week deadline. These Terms and Conditions can be amended at any time and without notice for future intermediation of contracts with Supplier. The respective conditions valid for each individual contract conclusion shall apply. Part III of these General Terms and Conditions applies to all contracts concluded between the Suppliers and the users via this website. You are responsible for arriving on time at the notified meeting point. If Supplier includes in addition to these General Terms and Conditions of Supplier of tours and other tourist services of Part III further participation or transport or other terms in a contract with you, you are responsible for observing these additional terms. The Supplier reserves the right to exclude participants from the activity if they do not meet these conditions. The agreed total price for a tour booked by our customer is withdrawn immediately from the credit/debit card provided by the user. The price of the services does not include insurance. You are responsible for providing sufficient insurance protection. The requirement for insurance depends on the activity booked. Canceling a booking on www.classiciceland.com can result in cancellation fees being applied by Delta ehf, as outlined under terms & conditions on the tour’s booking site. The Supplier can cancel the activity on the agreed date without observing a period of notice, if weather conditions, official measures, strikes or other unforeseeable or unavoidable external conditions (in particular force majeure) make the execution of the activity impossible, make it considerably more difficult or endanger it. In this case the paid price is refunded. The Supplier is permitted not to allow you to join an activity, or to exclude you from one, if you do not meet the personal participation requirements, your participation would endanger you or someone else or in any other way make the activity impossible in the long-term. This applies accordingly to a user you have referred. In these cases, the paid price cannot be refunded. Furthermore, the Supplier reserves the right to make non-essential changes to the program, if this is necessary due to unforeseeable or unavoidable conditions. The Supplier is liable in accordance with the applicable law for its services, whereby the liability, if permitted according to the applicable law, is excluded. These Terms and Conditions of the Supplier of tours and other tourist services of Part III can be amended at any time and without notice for future bookings. The respective conditions valid for each individual booking shall apply. The user has no claim for future bookings based on the existing conditions.